Marriage*: She married John Pence. Marriage*: She married Philip Pence. [S890] Robert H. Isaacs, electronic mail to Roger Bartlett, 13 Dec 2003, (naming Elisha Henry ['Lish'] Isaacks as his father). [S890] Robert H. Isaacs, electronic mail to Roger Bartlett, 13 Dec 2003, (naming Elizabeth Caroline Calloway as his mother). [S890] Robert H. Isaacs, electronic mail to Roger Bartlett, 13 Dec 2003. [S890] Robert H. Isaacs, electronic mail to Roger Bartlett, 13 Dec 2003, (naming Elisha Henry ['Lish'] Isaacks as her father). [S890] Robert H. Isaacs, electronic mail to Roger Bartlett, 13 Dec 2003, (naming Elizabeth Caroline Calloway as her mother). 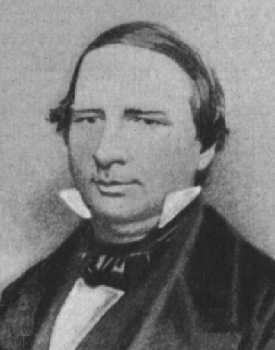 [S247] Joe E. Ericson, Judges of the Republic of Texas (1836-1846): A Biographical Directory (Dallas, Tex. : Taylor Publishing Co., 1980), p. 304 (naming David T. Winkler as her father and citing generally to 1850 census of the State of Texas). [S885] Descendants of Hans Winkler, online http://presys.com/d/e/deb/tree/wwinkler.html, (naming David Tate Winkler as her father). [S247] Joe E. Ericson, Judges of the Republic of Texas (1836-1846), above, p. 304 (stating that she was born circa 1838 in Indiana and citing generally to 1850 census of the State of Texas). • His biography from the University of Texas School of Law Tarlton Law Library Jamail Center for Legal Research, which includes an extensive bibliography, is here. • His biography from The Handbook of Texas Online is here. • His biography in the Biographical Directory of the United States Congress is here. [S247] Joe E. Ericson, Judges of the Republic of Texas (1836-1846): A Biographical Directory (Dallas, Tex. : Taylor Publishing Co., 1980), p. 247 (naming John Rusk as his father). [S247] Joe E. Ericson, Judges of the Republic of Texas (1836-1846), above, p. 247 (naming Mary Sterritt Rusk as his mother). [S247] Joe E. Ericson, Judges of the Republic of Texas (1836-1846), above, p. 247. [S261] Louis Wiltz Kemp, The Signers of the Texas Declaration of Independence (Salado, Tex. : The Anson Jones Press, 1959), p. 304 (citing grave marker). [S515] Cleburne Huston, Towering Texan: A Biography of Thomas J. Rusk (Waco, Tex. : Texian Press, 1971), p. 11. [S261] Louis Wiltz Kemp, The Signers of the Texas Declaration of Independence, above, p. 315. [S1312] The Texas State Times, Austin, Tex., 10 May 1856, p. 2, col. 3, online at http://tinyurl.com/nfoy8hu (obituary of Mrs. Rusk) (giving only the year). [S515] Cleburne Huston, Towering Texan: A Biography of Thomas J. Rusk, above, p. 169. [S261] Louis Wiltz Kemp, The Signers of the Texas Declaration of Independence, above, p. 314. [S961] Find A Grave, online at http://www.findagrave.com, memorial for Thomas Jefferson Rusk, memorial no. 6258942, viewed on 1 Jul 2011. [S515] Cleburne Huston, Towering Texan: A Biography of Thomas J. Rusk, above, p. 173. [S261] Louis Wiltz Kemp, The Signers of the Texas Declaration of Independence, above, p. 304. [S247] Joe E. Ericson, Judges of the Republic of Texas (1836-1846), above, p. 247 (naming Thomas Jefferson Rusk as his father). [S515] Cleburne Huston, Towering Texan: A Biography of Thomas J. Rusk, above, p. 11 (naming Thomas J. Rusk as his father). [S261] Louis Wiltz Kemp, The Signers of the Texas Declaration of Independence, above, p. 315 (naming Thomas Jefferson Rusk as his father). [S515] Cleburne Huston, Towering Texan: A Biography of Thomas J. Rusk, above, p. 125 (naming Thomas J. Rusk as his father). [S247] Joe E. Ericson, Judges of the Republic of Texas (1836-1846), above, p. 247 (naming Thomas Jefferson Rusk as her father). [S515] Cleburne Huston, Towering Texan: A Biography of Thomas J. Rusk, above, p. 125 (naming Thomas J. Rusk as her father). [S261] Louis Wiltz Kemp, The Signers of the Texas Declaration of Independence, above, p. 315 (naming Thomas Jefferson Rusk as her father). Other Names*: Mary Frances Cleveland, Mary Cleveland, Polly Cleveland, Mary Frances Cleveland Rusk, Mary Frances Rusk, Mary Rusk, Polly Rusk. "'She died at her residence near Nacogdoches, at two o’clock, on the morning of the 26th instant, aged forty-six years, eight months and twelve days. [S247] Joe E. Ericson, Judges of the Republic of Texas (1836-1846): A Biographical Directory (Dallas, Tex. : Taylor Publishing Co., 1980), p. 247 (naming Gen. Benjamin Cleveland as her father). [S515] Cleburne Huston, Towering Texan: A Biography of Thomas J. Rusk (Waco, Tex. : Texian Press, 1971), p. 11 (naming Gen. Benjamin Cleveland as her father). [S261] Louis Wiltz Kemp, The Signers of the Texas Declaration of Independence (Salado, Tex. : The Anson Jones Press, 1959), p. 315 (naming Gen. John Cleveland as her father). [S1312] The Texas State Times, Austin, Tex., 10 May 1856, p. 2, col. 3, online at http://tinyurl.com/nfoy8hu (obituary of Mrs. Rusk) (naming Hon. Benjamin Cleveland as her father). [S515] Cleburne Huston, Towering Texan: A Biography of Thomas J. Rusk, above, p. 169 (giving only the month and year; not naming the place). [S261] Louis Wiltz Kemp, The Signers of the Texas Declaration of Independence, above, p. 315 (giving the date but not the place). [S961] Find A Grave, online at http://www.findagrave.com, memorial for Mary Frances (Polly) Cleveland Rusk, memorial no. 6259012, viewed on 1 Jul 2011. [S1312] The Texas State Times, Austin, Tex., 10 May 1856, p. 2, col. 3, online at http://tinyurl.com/nfoy8hu (obituary of Mrs. Rusk) (stating that she was born in 1809 in Habersham County, Georgia; not giving the rest of the date but stating that she was forty-six years, eight months, and twelve days old when she died on 26 Apr 1856). [S515] Cleburne Huston, Towering Texan: A Biography of Thomas J. Rusk, above, p. 11. [S515] Cleburne Huston, Towering Texan: A Biography of Thomas J. Rusk, above, pp. 160, 169. [S961] Find A Grave, online, above, memorial for Mary Frances (Polly) Cleveland Rusk, memorial no. 6259012, viewed on 1 Jul 2011 (giving the date and stating she died in Texas). [S1312] The Texas State Times, Austin, Tex., 10 May 1856, p. 2, col. 3, online at http://tinyurl.com/nfoy8hu (obituary of Mrs. Rusk) (stating that she died at 2:00 a.m.). [S515] Cleburne Huston, Towering Texan: A Biography of Thomas J. Rusk, above, p. 160. [S261] Louis Wiltz Kemp, The Signers of the Texas Declaration of Independence, above, p. 315 (naming the place but not giving the date). [S961] Find A Grave, online, above, memorial for Mary Frances (Polly) Cleveland Rusk, memorial no. 6259012, viewed on 1 Jul 2011 (identifying the cemetery but not giving the date). [S247] Joe E. Ericson, Judges of the Republic of Texas (1836-1846), above, p. 247 (naming Mary Frances ['Polly'] Cleveland as his mother). [S515] Cleburne Huston, Towering Texan: A Biography of Thomas J. Rusk, above, p. 11 (naming Mary Frances ['Polly'] Cleveland as his mother). [S261] Louis Wiltz Kemp, The Signers of the Texas Declaration of Independence, above, p. 315 (naming Mary F. Cleveland as his mother). [S515] Cleburne Huston, Towering Texan: A Biography of Thomas J. Rusk, above, p. 125 (naming Mary Frances ['Polly'] Cleveland as his mother). [S247] Joe E. Ericson, Judges of the Republic of Texas (1836-1846), above, p. 247 (naming Mary Frances ['Polly'] Cleveland as her mother). [S515] Cleburne Huston, Towering Texan: A Biography of Thomas J. Rusk, above, p. 125 (naming Mary Frances ['Polly'] Cleveland as her mother). [S261] Louis Wiltz Kemp, The Signers of the Texas Declaration of Independence, above, p. 315 (naming Mary F. Cleveland as her mother). • His Find A Grave memorial, which includes a biography and photographs of his grave marker and other subjects, is here. [S961] Find A Grave, online at http://www.findagrave.com, memorial for Gen. Benjamin Cleveland, memorial no. 54628626, viewed on 13 Feb 2015. Other Names*: Argin Blair Cleveland, Anglin Blair Cleveland, Argin Cleveland, Anglin Cleveland. [S515] Cleburne Huston, Towering Texan: A Biography of Thomas J. Rusk (Waco, Tex. : Texian Press, 1971), p. 7. [S515] Cleburne Huston, Towering Texan: A Biography of Thomas J. Rusk, above, p. 124. [S247] Joe E. Ericson, Judges of the Republic of Texas (1836-1846): A Biographical Directory (Dallas, Tex. : Taylor Publishing Co., 1980), p. 247 (naming Mary Sterritt Rusk as his mother). [S247] Joe E. Ericson, Judges of the Republic of Texas (1836-1846): A Biographical Directory (Dallas, Tex. : Taylor Publishing Co., 1980), p. 247 (naming Thomas Jefferson Rusk as his father). [S515] Cleburne Huston, Towering Texan: A Biography of Thomas J. Rusk (Waco, Tex. : Texian Press, 1971), p. 11 (naming Thomas J. Rusk as his father). [S261] Louis Wiltz Kemp, The Signers of the Texas Declaration of Independence (Salado, Tex. : The Anson Jones Press, 1959), p. 315 (naming Thomas Jefferson Rusk as his father). [S515] Cleburne Huston, Towering Texan: A Biography of Thomas J. Rusk, above, p. 11 (giving only the date). [S515] Cleburne Huston, Towering Texan: A Biography of Thomas J. Rusk, above, p. 161. [S261] Louis Wiltz Kemp, The Signers of the Texas Declaration of Independence, above, p. 315 (naming Benjamin Livingston Rusk as her father). [S261] Louis Wiltz Kemp, The Signers of the Texas Declaration of Independence, above, p. 315 (naming Benjamin Livingston Rusk as his father). [S515] Cleburne Huston, Towering Texan: A Biography of Thomas J. Rusk (Waco, Tex. : Texian Press, 1971), p. 161 (naming Roden T. Crain as her father). [S261] Louis Wiltz Kemp, The Signers of the Texas Declaration of Independence (Salado, Tex. : The Anson Jones Press, 1959), p. 315 (naming Giles Burditt Crain as her father). [S261] Louis Wiltz Kemp, The Signers of the Texas Declaration of Independence, above, p. 315 (naming Rachel A. Fulgham as her mother). [S247] Joe E. Ericson, Judges of the Republic of Texas (1836-1846): A Biographical Directory (Dallas, Tex. : Taylor Publishing Co., 1980), p. 247. [S261] Louis Wiltz Kemp, The Signers of the Texas Declaration of Independence, above, p. 315 (naming Rachel A. Crain as her mother). [S261] Louis Wiltz Kemp, The Signers of the Texas Declaration of Independence, above, p. 315 (naming Rachel A. Crain as his mother). [S926] Betty and Dwayne Beard, Van Zandt County, Texas Cemeteries, Book 2 (n.p. : n.pub., 1977), p. 4 (giving the date but not the place). [S247] Joe E. Ericson, Judges of the Republic of Texas (1836-1846), above, p. 247 (not giving the date). [S515] Cleburne Huston, Towering Texan: A Biography of Thomas J. Rusk, above, p. 161 (not giving the date). [S261] Louis Wiltz Kemp, The Signers of the Texas Declaration of Independence, above, p. 315 (giving her name as Cornelia E. Lawson). [S515] Cleburne Huston, Towering Texan: A Biography of Thomas J. Rusk, above, p. 161 (giving only the year). [S878] Rusk Family, online http://ruskfamily.com, (giving the year but not the date). [S261] Louis Wiltz Kemp, The Signers of the Texas Declaration of Independence, above, p. 315 (giving only the county and not the date). [S515] Cleburne Huston, Towering Texan: A Biography of Thomas J. Rusk, above, p. 161 (giving only the date and not the place). [S878] Rusk Family, online http://ruskfamily.com, (stating that he died in 1898 in Colfax, Van Zandt, Texas). [S67] The Dallas Morning News, Dallas, Tex., 2 Mar 1898, p. 3. [S515] Cleburne Huston, Towering Texan: A Biography of Thomas J. Rusk, above, p. 161 (stating that he was a lawyer and served in the Confederate Army during the Civil War). [S878] Rusk Family, online http://ruskfamily.com, (naming John Cleveland Rusk as her father). [S878] Rusk Family, online http://ruskfamily.com, (naming John Cleveland Rusk as his father). [S261] Louis Wiltz Kemp, The Signers of the Texas Declaration of Independence, above, p. 315 (naming John Cleveland Rusk as his father). [S261] Louis Wiltz Kemp, The Signers of the Texas Declaration of Independence, above, p. 315 (naming John Cleveland Rusk as her father). [S261] Louis Wiltz Kemp, The Signers of the Texas Declaration of Independence, above, p. 315 (giving her name as Saritha Rusk and naming John Cleveland Rusk as her father). [S247] Joe E. Ericson, Judges of the Republic of Texas (1836-1846): A Biographical Directory (Dallas, Tex. : Taylor Publishing Co., 1980), p. 247 (not giving the date). [S515] Cleburne Huston, Towering Texan: A Biography of Thomas J. Rusk (Waco, Tex. : Texian Press, 1971), p. 161 (not giving the date). 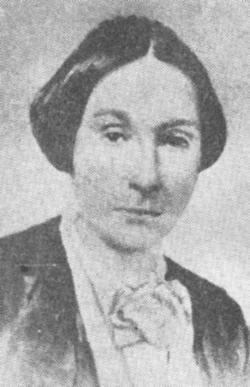 [S878] Rusk Family, online http://ruskfamily.com, (naming Harriet Ann Patton as her mother). [S878] Rusk Family, online http://ruskfamily.com, (naming Harriet Ann Patton as his mother). [S261] Louis Wiltz Kemp, The Signers of the Texas Declaration of Independence (Salado, Tex. : The Anson Jones Press, 1959), p. 315 (giving her name as Cornelia E. Lawson). [S515] Cleburne Huston, Towering Texan: A Biography of Thomas J. Rusk (Waco, Tex. : Texian Press, 1971), p. 161 (giving only the year). [S261] Louis Wiltz Kemp, The Signers of the Texas Declaration of Independence, above, p. 315 (naming Cornelia E. Lawson as his mother). [S878] Rusk Family, online http://ruskfamily.com, (naming Cornelia E. Garrison as his mother). [S261] Louis Wiltz Kemp, The Signers of the Texas Declaration of Independence, above, p. 315 (naming Cornelia E. Lawson as her mother). [S878] Rusk Family, online http://ruskfamily.com, (naming Cornelia E. Garrison as her mother). [S261] Louis Wiltz Kemp, The Signers of the Texas Declaration of Independence, above, p. 315 (giving her name as Saritha Rusk and naming Cornelia E. Lawson as her mother). [S261] Louis Wiltz Kemp, The Signers of the Texas Declaration of Independence, above, p. 316. [S515] Cleburne Huston, Towering Texan: A Biography of Thomas J. Rusk, above, pp. 11, 125. [S261] Louis Wiltz Kemp, The Signers of the Texas Declaration of Independence, above, p. 316 (giving only the date). [S261] Louis Wiltz Kemp, The Signers of the Texas Declaration of Independence, above, p. 316 (stating that he was killed while serving in the Confederate Army in the Civil War). [S515] Cleburne Huston, Towering Texan: A Biography of Thomas J. Rusk (Waco, Tex. : Texian Press, 1971), p. 125 (naming Thomas J. Rusk as his father). [S515] Cleburne Huston, Towering Texan: A Biography of Thomas J. Rusk, above, p. 125. [S247] Joe E. Ericson, Judges of the Republic of Texas (1836-1846), above, p. 247 (giving only the year). [S515] Cleburne Huston, Towering Texan: A Biography of Thomas J. Rusk, above, p. 125 (giving only the date). [S261] Louis Wiltz Kemp, The Signers of the Texas Declaration of Independence, above, p. 316 (naming the county and state but not giving the date). [S247] Joe E. Ericson, Judges of the Republic of Texas (1836-1846): A Biographical Directory (Dallas, Tex. : Taylor Publishing Co., 1980), p. 247 (naming Thomas Jefferson Rusk as her father). [S515] Cleburne Huston, Towering Texan: A Biography of Thomas J. Rusk (Waco, Tex. : Texian Press, 1971), p. 125 (naming Thomas J. Rusk as her father). [S261] Louis Wiltz Kemp, The Signers of the Texas Declaration of Independence (Salado, Tex. : The Anson Jones Press, 1959), p. 315 (naming Thomas Jefferson Rusk as her father). Marriage*: He married Rachel A. Fulgham. Marriage*: She married Capt. Robert S. Patton. [S516] Steve Tutt, electronic mail to Roger Bartlett, 9 Oct 1999, (naming Orange McCarty as her father). [S516] Steve Tutt, electronic mail to Roger Bartlett, 9 Oct 1999, (naming Orange McCarty as his father). [S516] Steve Tutt, electronic mail to Roger Bartlett, 9 Oct 1999, (naming Mary Arrington as her mother). [S516] Steve Tutt, electronic mail to Roger Bartlett, 9 Oct 1999, (naming Mary Arrington as his mother). [S516] Steve Tutt, electronic mail to Roger Bartlett, 9 Oct 1999, (naming Elias McCarty as her father). [S516] Steve Tutt, electronic mail to Roger Bartlett, 9 Oct 1999, (naming Elias McCarty as his father). Marriage*: She married Elias McCarty, son of Orange McCarty and Mary Arrington.